Calling all townies! This year we will be finally going on pre season tour! What: All hands on Deck Tour! 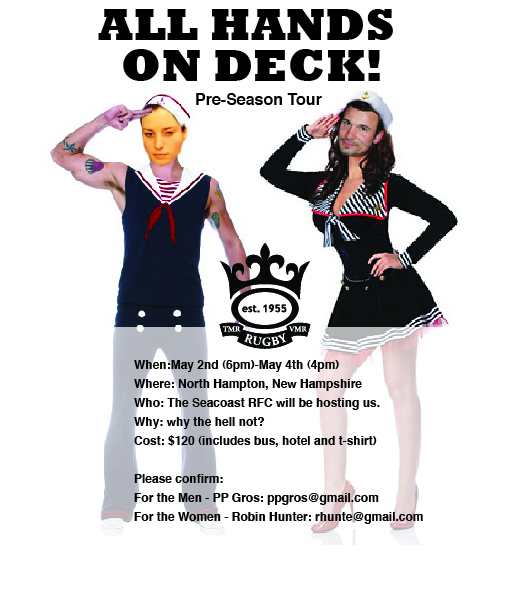 Who: The Seacoast RFC will be hosting us. Why: why the hell not? Girls: will be playing a mini round robin on Saturday. Boys: playing against their main team. Everything is yet to be totally confirmed but please put it in your calendar and check that your passport is in order!